This story, originally moved on Sept. 23, 2013 now includes MSF comment. MOGADISHU, Sep 30 2013 (IPS) - Maryan Yusuf, 39, is weak and barely able to speak because of her excruciating pain. A few hours earlier she delivered a baby at Somalia’s Afgooye Hospital, where essential drugs are dwindling at an alarming rate. “This is my fourth child delivered here. But I cannot get as much care and treatment as I used to. I am in pain now. I don’t know if I will be well again,” Yusuf told IPS as she lay on a hospital bed that had no mattress. Afgooye Hospital, situated in the agricultural town of Afgooye, 30 km southwest of the Somali capital, Mogadishu, is one of the many health facilities that used to receive support from the international medical charity Médecins Sans Frontières (MSF), or Doctors Without Borders. Because of this support the hospital was able to provide free healthcare to the residents of Afgooye and surrounding areas. But it has been almost a month since MSF left Somalia because of security concerns for its staff, and a senior nurse at Afgooye Hospital told IPS that the hospital was running out of basic drugs and vaccines. The 20-bed Afgooye Hospital has only one doctor and seven nurses, who provide what services they can to the hundreds of patients who come through the doors every week. “This is the place people who want free healthcare turn to, but since MSF left and no agency has filled its place we cannot support the health needs of the people here and in the town’s periphery,” the senior nurse said. The international charity had been one of the few providers of essential healthcare here for the last 22 years. Somalia has been through almost 20 years of war, and its citizens are affected by poverty and a lack of essential services. The current government has had to function with limited financial resources and the continued threat of the extremist Islamist group Al-Shabaab, which has waged a number of recent terrorist attacks on the capital Mogadishu despite being ousted from key cities across this Horn of Africa nation. The health centres supported by MSF were provided with various services, including free basic healthcare, malnutrition treatment, surgery, epidemic response, water and relief supplies. MSF said more than 1,500 staff worked for its medical programmes across Somalia, including in Mogadishu and the two outlying towns of Afgooye and Daynille, as well as eight other towns across the country. “In 2012 alone, MSF teams provided more than 624,000 medical consultations, admitted 41,100 patients to hospitals, cared for 30,090 malnourished children, vaccinated 58,620 people, and delivered 7,300 babies,” MSF said in August in a statement announcing its decision to leave Somalia. In a statement to IPS, MSF said there is normal traffic of patients at the hospital, with normal levels of care. But Somali doctors warn that the decision will adversely affect the lives of “hundreds of thousands of people”. Mohmaoud Yarow, a health officer in Mogadishu, said the impact of the MSF withdrawal was immediate and health centres that had previously received support from the international charity now have hundreds of people in need of care and many lack the drugs with which to treat them. “I can understand how difficult it has been for MSF to leave Somalia, but the impact the pullout has had on the country’s health sector is enormous … with time this could turn into a deadly health crisis,” Yarow told IPS in Mogadishu. Local media reported in August that Al-Shabaab fighters seized control of a former MSF-funded hospital in Marere, Middle Jubba Region, along with the medical equipment and drugs. Medical officials also say that the MSF pullout further complicates the polio outbreak the country is facing as the medical charity had provided essential vaccines against the disease. 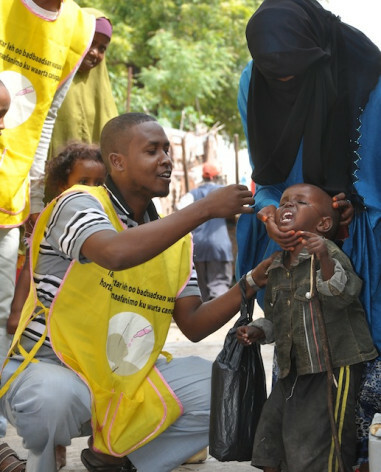 Earlier this year, polio was detected in several areas in Somalia, including the eastern region of Puntland as well as southern and central parts of the country. The World Health Organisation has confirmed 101 cases here and a massive vaccination campaign against the viral disease was launched in August. The Somalia government has said that it was “deeply saddened” by the MSF decision to withdraw and has reiterated its commitment to providing a secure working environment to all aid agencies in the country. The Somali government said that the MSF decision has created “a critical vacuum that needs to be filled” and could “lead to a catastrophic humanitarian crisis”, and has urgently called on the international community and donor countries to offer their support. But until support comes, many here will have to live without access to treatment. Daahir Owre, an elderly man from Daynile district, west of Mogadishu, said he was unable to get antibiotics for his wife’s leg infection at the Daynile Hospital because the nurses told him that they had run out of the drugs. “I don’t know what I am going to do now. I had to walk five kilometres to get here but I cannot get medicine for my family because there are no supplies at the centre,” Owre told IPS as he walked away.